60 cm (5/8 yard) medium weight canvas. Note: Instead of canvas, you could also use home décor fabric, denim, corduroy, or heavyweight cotton. 1- Enlarge pattern by 200 percent. 4- Cut out interfacing pieces. Note: All seams are 6mm (174 inch) unless other wise indicated. 1- Turn under 13mm (1/2 inch) along the bottom long edge of the band piece, and press. Pin in place along the top of the tote body matching the top edge of the band to the top edge of the tote. Stich close to the Folded edge (FIGURE 1) Repeat for the other band and body pieces. 2- Turn under 13mm (1/2inch) along each long edge of the handle pieces, and press. Pin two handle pieces and press. Pin two handle pieces wrong side together and machine baste close to each long edge. Repeat for two remaining handle pieces. 3- Pin one handle to the right side of one body piece at placement lines, raw edges of handle even with the bottom bag. 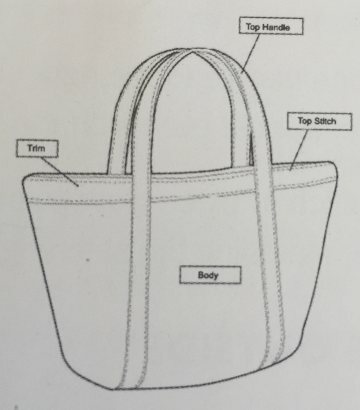 5- Pin the tote bag body pieces, with right sides together and raw edges even, along the two side edges. Stich and press the seam open. 9- Repeat with the remaining edge of the zipper. 12- Pin the lining pieces with rights sides together and raw even. Stitch along the side edges of the lining and the facing , leaving an opening in one side edge for turning. Make sure not to catch the loosed end of the zipper in the side seam. 15- Turn the tote right side out through the side opening in the lining. Turn under the raw edges of the opening, and stich closed by hand or machine. 16- Press the top edge of the tote.Top stich close to the top edge. 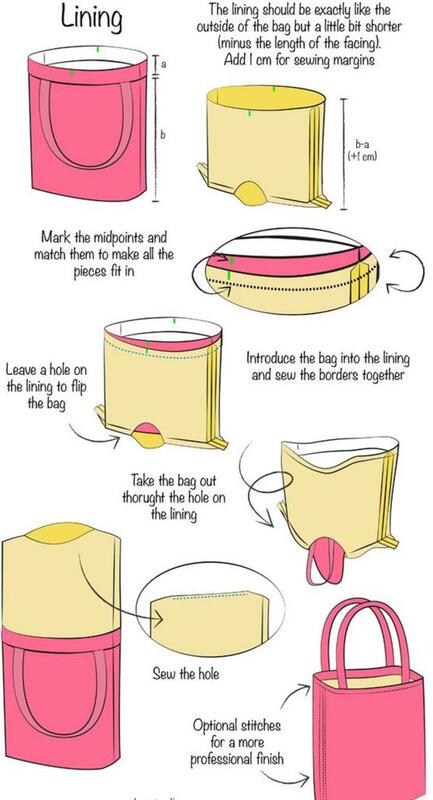 You now know how to make a tote bag! Please leave a comment if this step by step by tutorial was helpful. 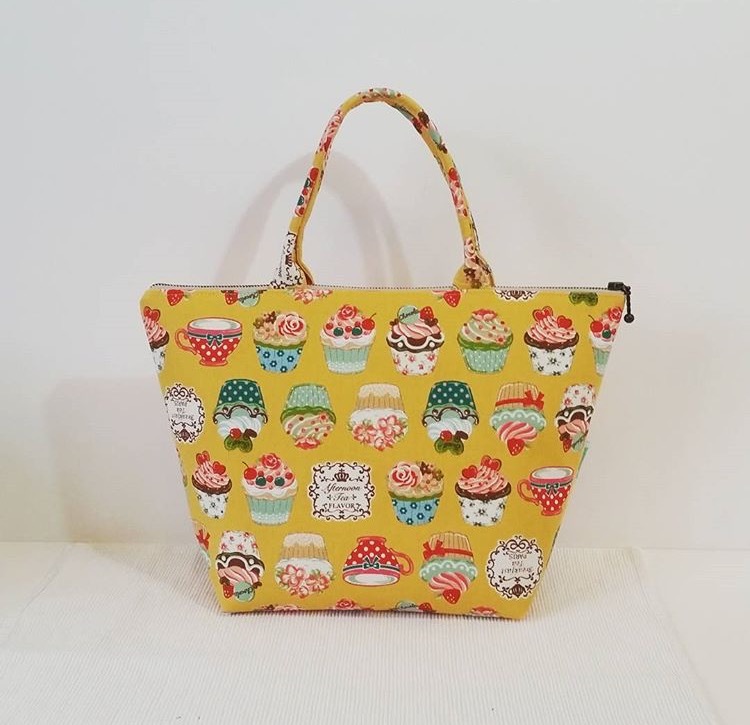 Please upload your tote bag photos! !